A contemporary version of glamorous earrings, this bold accessory embodies Stefanie Heinrich’s modern and feminine aesthetic. 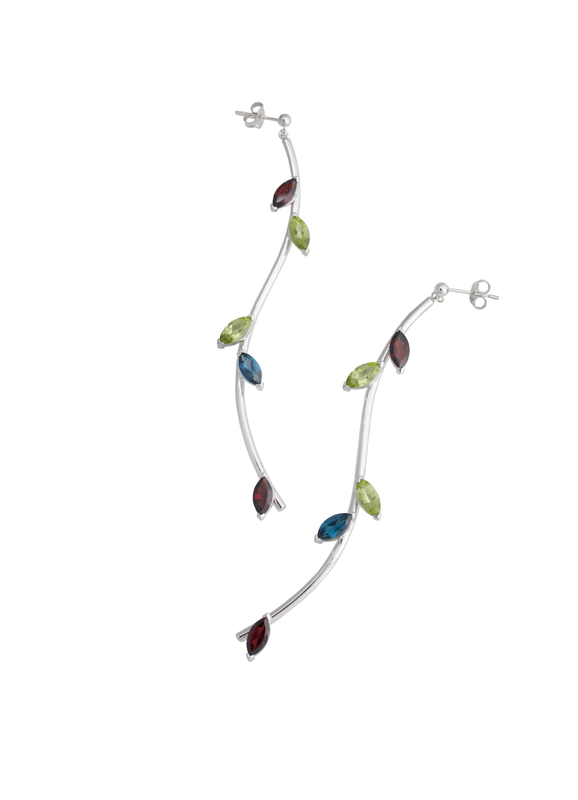 The Long Bended Twigs Earrings are a graceful and stunning character piece. Crafted from Sterling Silver and decorated with gemstones, the butterfly back earrings are an effortless way to give your look a modern, yet elegant touch. 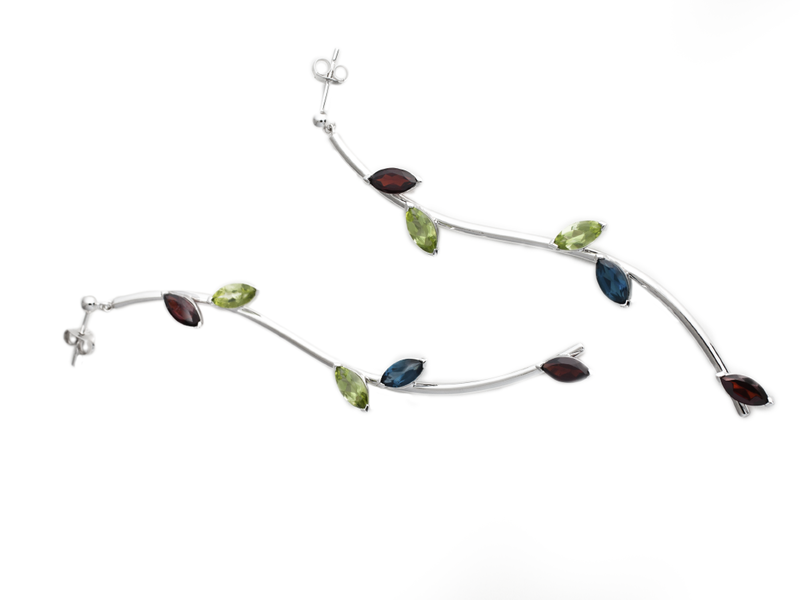 MATERIALS Rhodanized Sterling Silver Stones: London blue topas, green olivine, red garnet MEASUREMENTS The bended earrings have a total length of 8cm, they are attached to a round stud with a butterfly back, which gives it a chance to move smoothly, answering the woman’s movements in an airy way. The stones have a size of 8x4mm CARE The silver is rhodanized to protect it from oxidation, to keep the beautiful shine and make it more resilient against scratches. Anyhow, this delicate piece of jewelry is made of precious materials, which deserve a careful handling. Stones and silver should be protected against any kind of chemicals, including soaps. The jewelry should be stored seperately to prevent it from scratching, the best is to keep the jewelry in the original box after wearing.